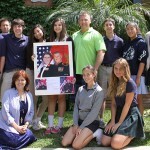 Students at La Salle High School in Pasadena, CA, are using their artistic talents to thank U.S. Marines for their service. 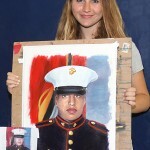 One artist in the new Portraits of Courage club presented her portrait to a Marine around Memorial Day. 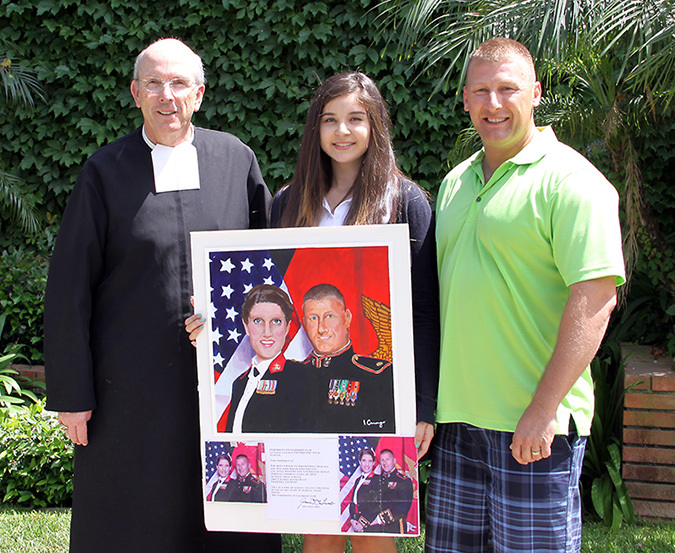 Isabella Camargo presented Major David Denial with the acrylic painting she created of him and his wife, Major Tera Denial, on May 28, the day after Memorial Day. 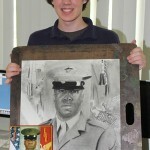 The sophomore based her painting on a formal U.S. Marine portrait of the couple, which he submitted to the club. 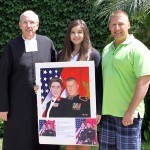 Both husband and wife have been deployed to Iraq and Afghanistan. 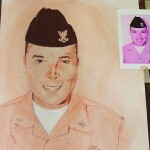 It took Camargo nearly five months to paint their portrait. 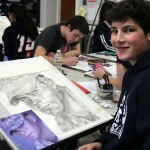 The students in the club each selected a different picture to turn into a portrait. 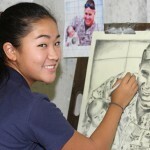 Most did pencil drawings, while a few used paint. 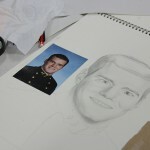 Except for the painting Camargo created, the rest of the portraits were shipped to the Marines or their families.